I can hardly believe we are in the midst of summer with August right around the corner. The weather has been pretty mild here in Portland for most of the summer. It’s honestly felt more like spring. I’m hoping for a few more weeks of hot, sunny weather to round out the season. Fingers crossed! 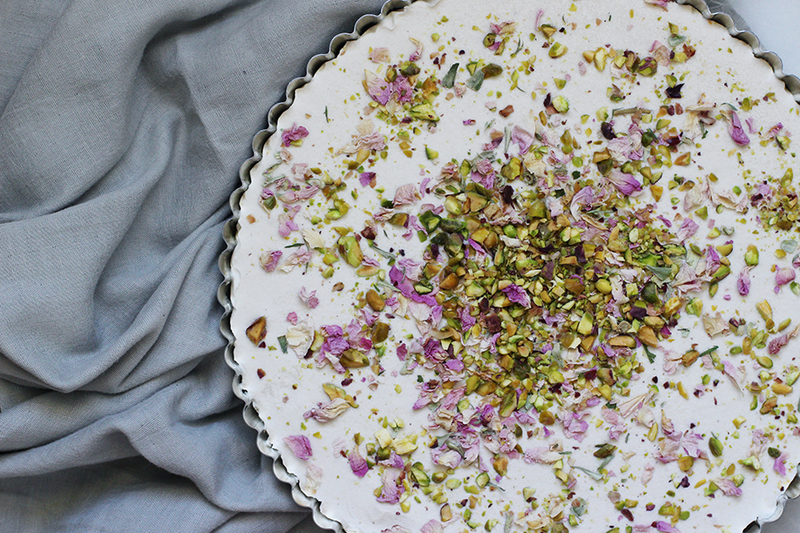 This (mostly raw) Pistachio-Rose Tart is light and delicious. With only 11 ingredients, it’s super easy to make while still being quite impressive. If you can find raw pistachios, you could certainly use those. I just used the roasted ones from my local New Seasons. Honestly, the majority of work was shelling the pistachios, but if you can get them already shelled, I would go for it if you want to save some time. You could also sub the meat and water from 2 young coconuts for the can of coconut milk if you want this to be completely raw. 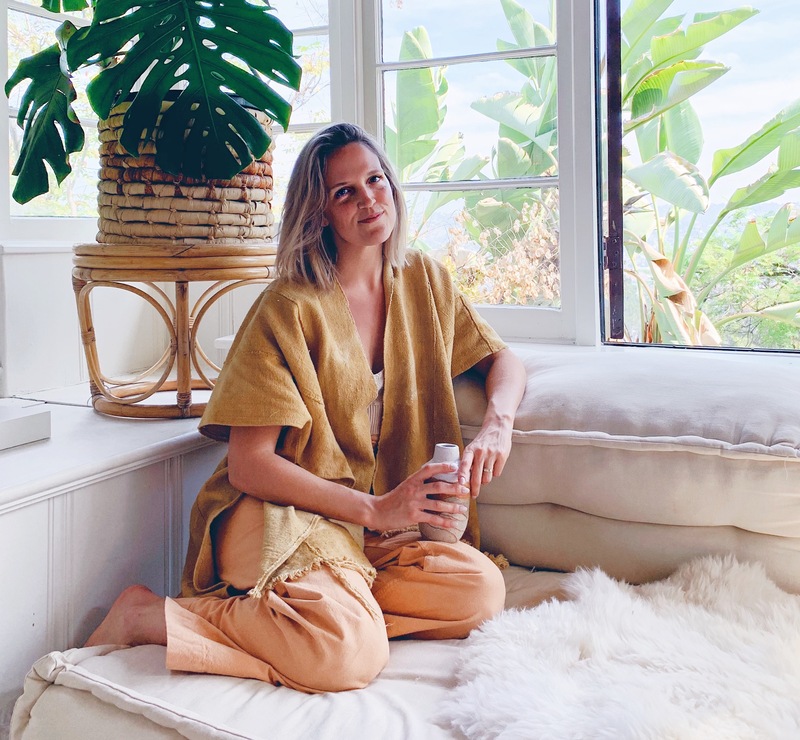 Otherwise, the canned coconut milk works great blended with raw cashews. 1.) In a high-speed blender or food processor, process pistachios into a coarse powder. Some bigger pieces are okay. Add in the 3 of the dates and coconut oil, and blend until well combined. Finally, add the other 3 dates, the almond meal and the shredded coconut. Blend until well combined. 2.) Line a 10″ round tart pan with plastic wrap. Take the crust mixture, and using your fingers press evenly throughout the bottom of the tart pan until the entire bottom is covered. Place pan in the freezer to chill while you make the filling. 3.) Drain the cashews from the soaking water. Blend all filling ingredients in high-speed blender until completely smooth. 4.) Pour filling evenly over crust in tart pan. Garnish with dried rose petals and crushed pistachios, if desired. Allow tart to set in the freezer for 1-2 hours. 5.) Store in an airtight container in the freezer or refrigerator. Will keep for quite a while in the freezer. Just be sure to remove from freezer 30 minutes before serving, or move to the refrigerator several hours before serving.